First, I'll give advice on some of the cars you mentioned. Subarus have many head gasket failures and the Jeep Patriot is a miserable piece of junk putting it lightly. The SUVs you are looking at are compact, not midsized. I'm truly shocked at how expensive the RAV4 and CR-V is used. I would suggest getting a compact sedan or hatchback because they are generally less expensive, more efficient, and drive better (less top-heavy). They usually don't hold as much cargo as compact cars, but people are showing interest in SUVs now and therefore SUVs are more expensive. I know you like to sit high up, but try driving a Toyota Corolla or Honda Civic without the sporty trim lines which have bucket-like seats. I'm looking in the Seattle area for Tucsons and there is only one that fits the bill. It isn't a very nice car, but it is supposedly reliable.The Kia Sportage, which is a rebadged Hyundai Tucson, is also reliable and cheap. The Saturn Vue can be found for dirt cheap; I've found only one in your area. These are notorious for transmission failures and electrical problems. I'd avoid it despite probably being a more comfortable better driving car. The Chevy Equinox is not reliable, except for 2007-2009. If you can find one of those, I would buy it. For the Santa Fe, avoid 2007 and newer because those have fuel pump and fuel gauge failures along with dead alternators, all of which are dangerous. 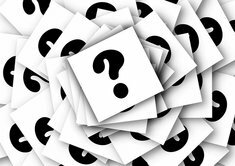 Ford Escape/Mazda Tribute have rust issues around the wheel well and struts. They also have transmission failures and a PCM that fries, which is $2000. The Matrix is super reliable and will get you at least 100,000 more miles. Old Toyotas run forever with minimal problems. They demand a price premium because their cars last for a long time. 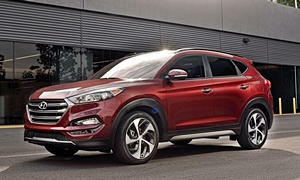 It might be worth it to pay for this premium instead of repairs for an Escape, Tucson, Santa Fe, or Tribute. I certainly would buy the Toyota instead. They aren't exciting cars until you notice you haven't payed for any repairs when it has 250,000 miles. My neighbor's 2005 Corolla has almost 300,000 miles and my 2005 Prius has 250,000 miles. The two things you should be caring about are reliability and safety and that is where Toyota shines. 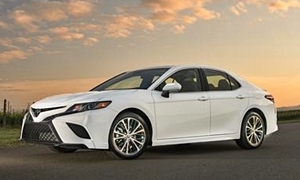 I almost guarantee you that you will spend less money on a more expensive Toyota than a less expensive Hyundai, Ford, or Chevy over the course of 3+ years. Make sure the car you buy has Electronic Stability Control and is not a salvage title. 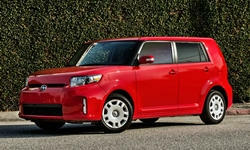 Check out the Scion XB or XD. These are fuel efficient, cheap to insure, reliable and include all the safety features a younger driver really needs. 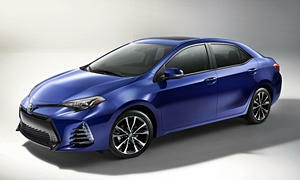 Since these were manufactured by Toyota you'll have no issues finding service/maintenance when you need it. You can find these for under $6000 without looking very hard.